My boutique studio is located at Davenport and Avenue Road. I offer nutrition and personal training packages, as well as personalized “at home,” “travel,” and “gym” programs to fit your unique needs. Allow me to help you find YOUR fit — your unique recipe for health success! Unfortunately, I am not currently taking on new weekly clients. (I am so sorry. I am sure you are amazing, but my schedule is full.) The good news is, I am booking clients who are interested in my personalized fitness and/or nutrition programs. If you are interested in an individualized program — with possible follow-up sessions if needed or desired — start by filling out this fitness questionnaire. Next, send me an introduction email. Please let me know the days of the week and times you are available to meet so I can work on finding you two slots. At minimum, depending on the package you choose, we need two slots: one for the assessment and one for the program. If you would like help finding a qualified trainer, send an email and if I can suggest one I will. If you think you might be interested in weekly training sessions in the future email me and I will put you on my waiting list. Please note, I have a 24-hour cancellation policy. Please contact me for the exact details. All prices will have HST added at the time of purchase. 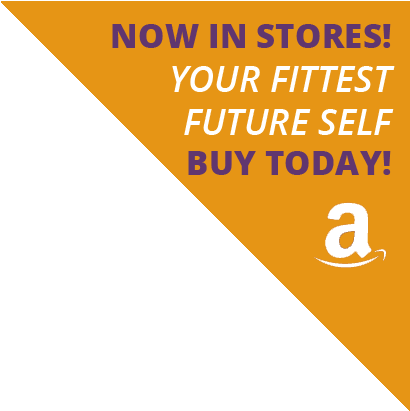 Consult is one hour and includes a detailed nutrition and lifestyle assessment, a copy of both of my books (Finding Your Fit and Your Fittest Future Self) as well as my digital "welcome package". The welcome package is chock-full of links, definitions, basic nutrition and fitness information, references, and helpful tips and strategies to keep you on your fitness and health path. Each session is 45 minutes to an hour depending on need. Phone follow-up sessions are 30 minutes. 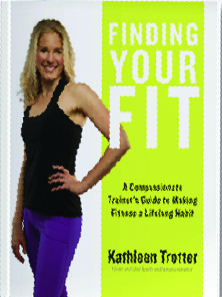 *All packages include a copy of both of my books (Finding Your Fit and Your Fittest Future Self) as well as my digital "welcome package" which is comprised of relevant links, definitions, basic nutrition and fitness information, references, and helpful tips and strategies to keep you on your fitness and health path. This package consists of two, one-hour sessions, plus a detailed program. The initial session is an assessment. During the second session, I take you through your personalized program. You take home a detailed program. This package consists of three, one-hour sessions, plus a detailed program. The initial session is an assessment. During the second session, I take you through your personalized program. After we go through the program, you go home and try the exercises for one to two weeks. After one to two weeks, we meet for a third session. During the third session, we review the program, make sure you have been doing the exercises correctly, and tweak the program as needed. Option: Add on a one-hour nutrition and lifestyle consultation. In addition to the assessment outlined above, come in for an hour-long nutrition and lifestyle consultation. This longer assessment can be done as one, two-hour assessment, or it can be done as two separate one-hour sessions. Your program will include diet and lifestyle suggestions based on your initial assessment. This package consists of a two-hour assessment, an hour-long session, plus a detailed program. The initial session is an assessment. This longer, more comprehensive assessment is ideal if you have a complicated fitness history, multiple past injuries, or complex goals. During the second session, I take you through your personalized program. You take home a detailed program. This package consists of one, two-hour assessment, two, one-hour sessions, plus a detailed program. The initial session is a two-hour assessment. This longer, more comprehensive assessment is ideal if you have a complicated fitness history, multiple past injuries, or complex goals. After we go through the program, you go home and try the exercises for one to two weeks. After one to two weeks we meet for a third session. During the third session we review the program, make sure you have been doing the exercises correctly, and tweak the program as needed.